Keep That Gold Shining, a student society, in collaboration with Community-based project module (JCP) the compulsory undergraduate module of the Faculty of Engineering, Built Environment and Information Technology of the University of Pretoria tutored Mathematics this pass recess. The tutoring is structured as Mathematics competition. The learners write a pre-and post-test and are tutored between the two tests. Grade 10 and 11 learners of Soshanguve (eMakhosini Combined Secondary School, Botse-Botse Secondary School and Soshanguve Secondary School), Bela Bela (Raeleng Secondary School, Moape Secondary School and Bela Bela Secondary School) were tutored. #100KidsToVarity a community based project at Bela Bela helped Keep That Gold Shining to facilitate the mathematics competition in three schools there. In Soshanguve 37 students enrolled for the Community-based Project Module (JCP) students and 10 volunteers were tutored 239 learners. In Polokwane one JCP Student together with 5 volunteers facilitated the Mathematics competition to 39 grade 12 leaners of Sehlaku Technical High School. 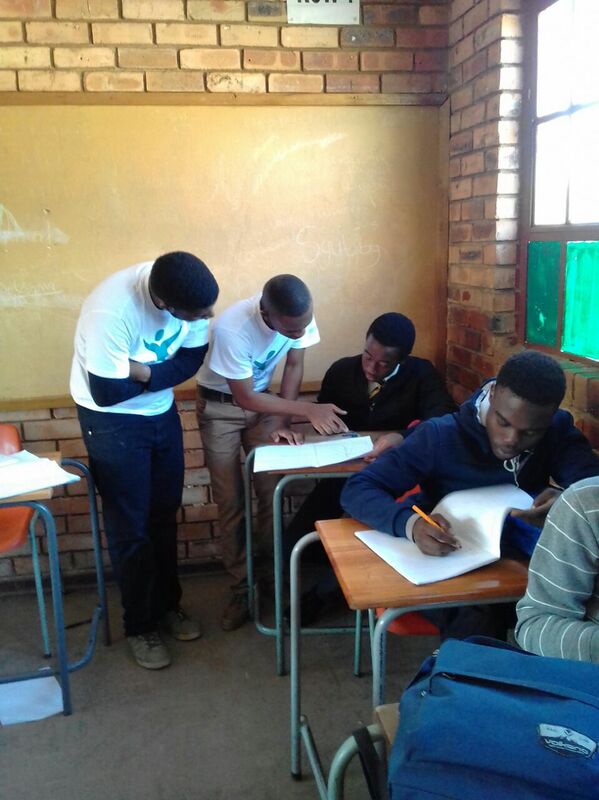 At eMakhosini Secondary School 8 JCP students helped about 13 struggling grade 12 learners. The project was closed with the award ceremony for motivational talk and awards for the best achievers. The awards, food and transport of the event was sponsored by JuniorTukkie, EBIT Faculty house, Investec and Metal Bad.